Jeff sent the photo and reports this turned up in the 9400 block of 13th Ave SW sometime overnight. Somebody locked it, but he says he has checked all around the area and no one reports it belonging to them nor to a visitor. 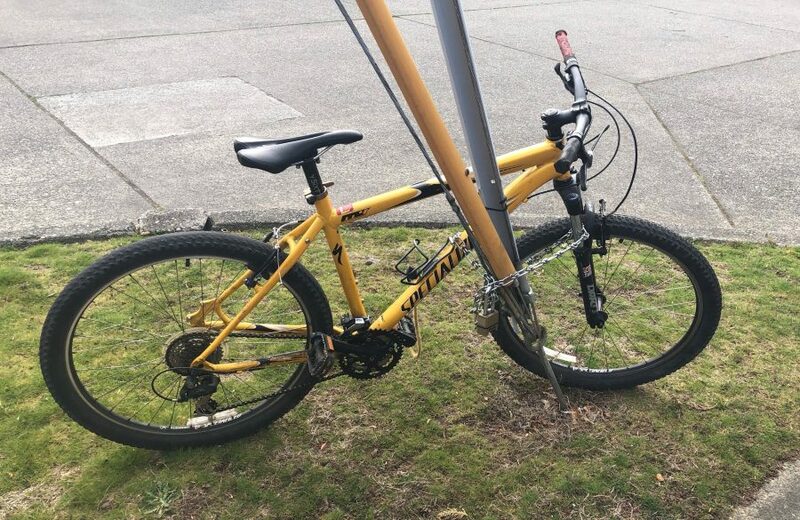 3 Replies to "READER REPORT: Yellow Specialized bicycle, apparently abandoned"
Why would anyone consider a bike locked with obvious care in a public place less than 24 hours ago to be “abandoned”? I abandon my bicycle every time I lock it to something.